Have you been injured in an accident caused when you or another vehicle departed from a lane of traffic? These types of crashes occur with regular frequency throughout the country and often result in serious injuries and even fatalities. As a motor vehicle switches from a roadway or lane, they often fail to take into account the other drivers on the road. The result is that drivers in adjacent lanes are routinely cut off at high rates of speed. This can be extremely dangerous. A lane departure crash is essentially a non-intersection crash which occurs after a vehicle crosses an edge line or a center line, or exits from the lane or road they were traveling in. These often occur on highways or main roads where motorists are traveling at an accelerated rate of speed. Due to those higher rates of speed, the impact of collisions can be extremely devastating. As such, unsafe lane change crashes are frequently severe and account for the vast majority of highway fatalities. 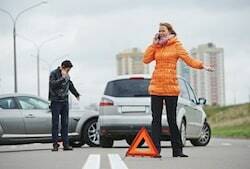 Lane position errors are often measured by our accident reconstructionists in car accident cases in terms of lane exceedances (i.e., the extent of the drift across the line between the current lane and the next lane. In the absence of actual lane crossings, our expert look at the lateral position in terms of distance from the center of the lane or the side lane line markings. Much of this comes down to inattentive driving, particularly the kinds of distractions of modern technology. The studies on this back up what we intuitively expect. Greater lane deviation was observed for dialing while driving as compared to tasks involving listening, talking, or mental processing. In another study, researchers found that for difficult driving tasks, a mobile telephone task significantly affected the drivers' lateral position. There is also data showing that cell phone related tasks made drivers drive closer to the right lane line, which puts pedestrians at great risk. The statistics underscore the toll that these crashes take on us. Failure to stay in your own lane on the road causes nearly 17,000 deaths a year. This is about 51 percent of the fatal crashes in the United States each year. The worst of these, of course, are head-on collisions caused by the failure to keep lane integrity. These accidents can happen in a number of different, although equally devastating, ways. When Are Lane Change Crashes the Most Lethal? Driver almost misses his exit on a two-lane highway and suddenly crosses over to the right lane at the last minute, sideswiping a vehicle in the adjacent lane. Driver swerves into an adjacent lane, causing a motorist in that lane to swerve to avoid a collision, thereby colliding with the concrete shoulder of the road. You also have to remember how important the speed of the vehicles can be. Att 60 miles an hour, a lane change for a tractor-trailer requires 374 feet, at 65 miles an hour it takes 399 feet, and at 70 miles it takes 425 feet. The time to execute the lane change changes dramatically as your speed increases. Jake is heading home at night on the highway from his new girlfriend's house. He has never driven back from there before, but he trusts his navigation to direct him. He turns his navigation on as he travels down I-495 and, seeing on his navigation map that the exit he will be taking is not coming up for close to 18 miles, he turns up the music and relaxes. He becomes so relaxed, in fact, that he completely forgets about his navigation altogether. And forgets that it is not plugged into the charger! After about 15 minutes of blasting music and otherwise relaxing as he drives down the night highway, Jake reaches for his navigation device to see how much longer he has until he is supposed to exit. As he looks down, he immediately realizes the navigation device has been turned off. Quickly, he presses the “On” button and waits for the device to power up, but to no avail. He can now see that it is not charged. He reaches for the charger in the middle console, but he can’t seem to find it. “Uh oh,” he thinks as he realizes he has no clue how to get home. In a slight state of panic, Jake tries to recall the exit that his navigation device has told him he would be getting off it. Was it Exit 19 or Exit 16? He can’t remember. As he almost passes Exit 16, he is all of a sudden sure that Exit 16 is the right exit. Desperate to get home, he cuts across three lanes of traffic to catch Exit 16 before it is too late. As he does, he hears loud honks and sees the flash of headlights, followed by a loud thud. Jake has just been rear-ended by John, who did not have time to stop. John is severely injured and taken to the hospital where he is treated for multiple back and neck fractures. It is Jake, we would argue, who is responsible for this accident and John’s injuries. If it weren’t for Jake’s careless and negligent choices behind the wheel, John would have never been injured. Maryland: $8,000,000 Verdict. A young man is riding as a passenger with his friend after leaving a nightclub. The friend crosses over the center line hitting a tour bus. The driver escapes the accident with minor injuries. The man, by all counts a charming your man with a full life ahead of him, was killed. Miller & Zois took this case to trial for the man's mother who brought a wrongful death claim. The jury awarded $8,000,000. Lane departure crashes can cause serious injuries. 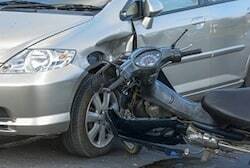 If you have been injured in this sort of accident, you should contact the attorneys at Miller & Zois who can help you evaluate your claim and patiently explain the legal process to you. Don’t hesitate to contact us at 800-553-8082 or get a free case evaluation online.